On this page please find documents and resources that help illustrate why healthy local economies and thriving high streets are important to Bristol’s well being in these challenging times of volatile prices, economic contraction, and depleting resources. 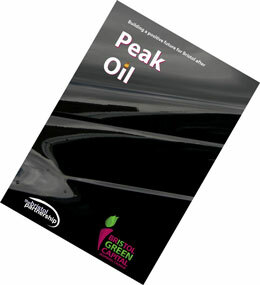 The Bristol Partnership and Bristol City Council have welcomed the report of the Peak Oil Study, presented at the Partnership board meeting on Thursday 15th October, 2009. The study was commissioned by the Bristol Partnership and the city council to consider the implications for Bristol once global oil production has peaked and production is in decline. 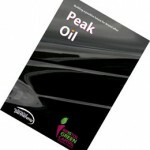 The comprehensive 108 page report spells out the potential impact of ‘peak oil’ on every aspect of Bristol life – transport, food, healthcare, public services, the economy, power and utilities. Bristol is the first city in the country to take action in this way by commissioning the study, which is intended to be a starting point to help the city to prepare for the future oil crunch and the impact it could have. The city already has a reputation as being a leading environmental player, and last year received many awards and accolades, including being short-listed for a European Green Capital award, crowned the UK’s most sustainable city in a Forum for the Future assessment, as well as being named the country’s first Cycling City. Recent figures released by the Department of Energy and Climate Change have also revealed that Bristol is one of the most energy efficient cities in the country*. 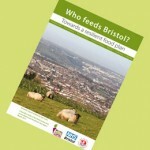 This report builds on findings in the Bristol Peak Oil report and explores the strengths and vulnerabilities in the current food system that serves Bristol and the city region in more detail. The report is primarily a descriptive baseline study of the main elements of the food system with an analysis of its resilience. It looks at the ‘positive powers’ cities may have in relation to their food systems and it makes suggestions for action. 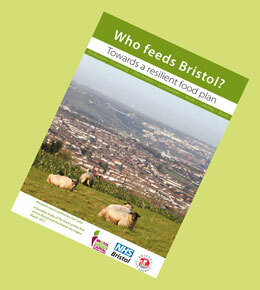 The work of researching and preparing the “who Feeds Bristol” report was commissioned and funded by NHS Bristol and undertaken by Joy Carey, an independent food systems planner and researcher. The document was published in March 2011. In the fall of 2011 Bristol NHS commissioned What problems do independent food businesses experience in Bristol?, a brief report based upon interviews with six independent traders in Bristol. The interviews and research were carried out by Wilma Raabe, an intern with Forum of the Future. The report was compiled by Dr. Angela Raffle. The Bristol Independents campaign was devised, in summer 2011, to begin the creation of a positive and recognisable unifying identity that could be used to promote locally owned and run businesses to people in Bristol. The stimulus for the campaign was growing concern about the viability of the independent food sector in the face of continued expansion of the ‘Big Four’ food retail chains. The initiation of the campaign has been delivered by members of the Bristol Food Network, with the help of a small amount of funding from NHS Bristol. Six interviews were conducted during October/November 2011 with a range of workers involved with the independent business sector. The aim was to inform the strategy for the Independents campaign. This report describes the findings from these interviews. It needs to promote local independent retail businesses irrespective of whether or not they are food businesses, and whether or not they sell organic, ethical, locally sourced etc. The meaning of local in this context is primarily about locally owned and run i.e. within the City region. Local sourcing is very welcome but is not the primary focus for an Independents campaign. The key ‘hook’ should be that money spent in locally owned businesses generates around twice as much benefit for the local economy compared with spending it in a national chain. It needs to build a powerful umbrella brand for BI businesses that becomes recognised across Bristol, and it needs to work hand in hand with the Bristol Pound (local currency). It needs to be built upon participation rather than consultation, weave a strong story about the value of independents, the narrative around place, and make clever use of communications media. It needs to help bring together diverse businesses, and it needs to link with trade organisations, and if possible play a role as a bridge between independent retailers and Bristol City Council.